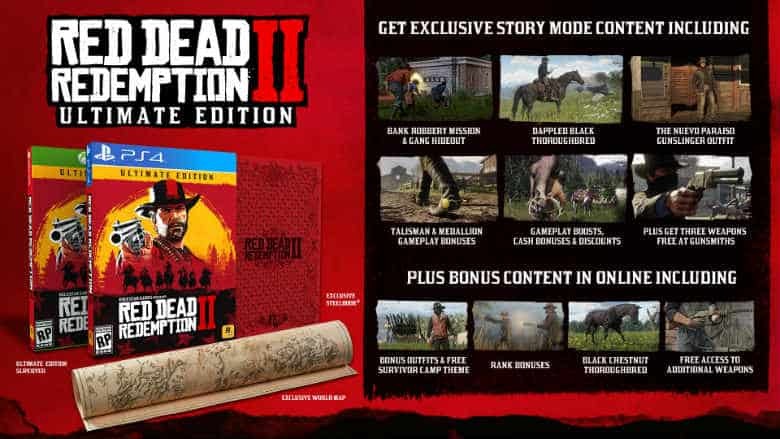 Red Dead Redemption 2 Special Edition & Ultimate Edition Details | Nerd Much? Rockstar Games has announced that we’ll be getting both a Special Edition and an Ultimate Edition for Red Dead Redemption 2. The developers have announced the hefty Red Dead Redemption 2 Collector’s Box too. 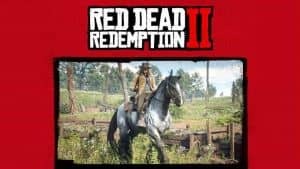 Anyone that preorders the retail version of Red Dead Redemption 2 will earn a pair of story mode enhancements. The duo includes the War Horse, a “handsome iron-grey-colored Ardennes War Horse can always be relied on in the heat of the battle.” As well as the Outlaw Survival kit which includes various supplies to help in-game, items to replenish health, additional Dead Eye usage and more. If you choose to go the Digital route when preordering, Rockstar will throw a couple of bonuses in. You’ll get a cash bonus for Red Dead Redemption 2’s story mode upon the game’s start. You’ll also get a treasure map that will lead you to some additional funds should you be able to locate them within the game. The big perks begin flowing in should you splurge for the game’s Special Edition. The Special Edition includes a slip cover for the game case labeling itself as superior to the lowly standard edition. 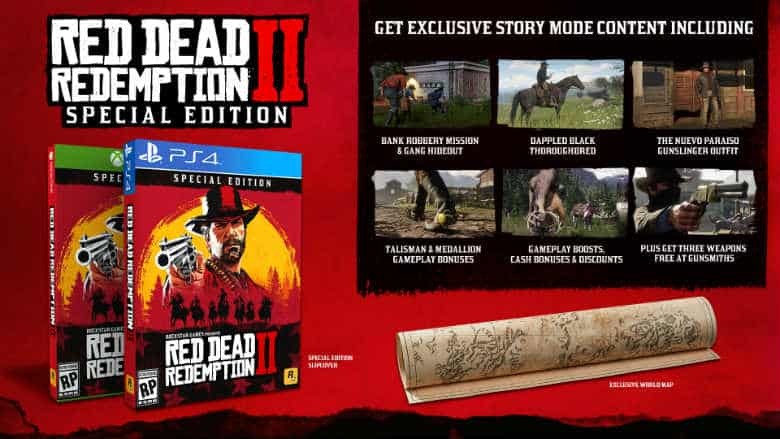 The package also includes an exclusive world map, as well as half a dozen exclusive story mode missions. You’ll also get free access to three additional weapons at the Gunsmith. “The robust Volcanic Pistol, devastating Pump Action Shotgun and versatile Lancaster Varmint Rifle.” The Special Edition can be preordered for $79.99. The Ultimate Edition of Red Dead Redemption 2 comes in at $99.99 and offers everything that the Special Edition does in addition to a few more things. An exclusive steelbook is included with the packaging. And you’ll be treated to bonus outfits, rank bonuses, and a black chestnut thoroughbred. No matter which version of the upcoming western you prepurchase, if you go digital you’ll earn some extra cash in GTA Online. If you preorder the Standard Edition, Rockstar will send you a free $500,000 for GTA Online. The Special Edition will net you $1,000,000 and the Ultimate Edition earns you $2,000,000 for your GTA Online coughers. Finally, Rockstar is offering a Collector’s Box for Red Dead Redemption 2. It’s a hefty entry fee at $99.99, but it includes a ton of stuff. It does not include the actual game though, the Collector’s Box instead opts to include “a curated assortment of outlaw essentials all packaged in a thick gauged metal tithing box.” You can check out the full contents of the Collector’s Box here. We’re only a few months away from Red Dead Redemption 2’s release on Xbox One and PlayStation 4. If we’re lucky, maybe Rockstar will treat us to something new from the game next week in celebration of E3.